Pexels Videos is now live! We are Pexels and we supply the creative world with great free photography. That is not an understatement. 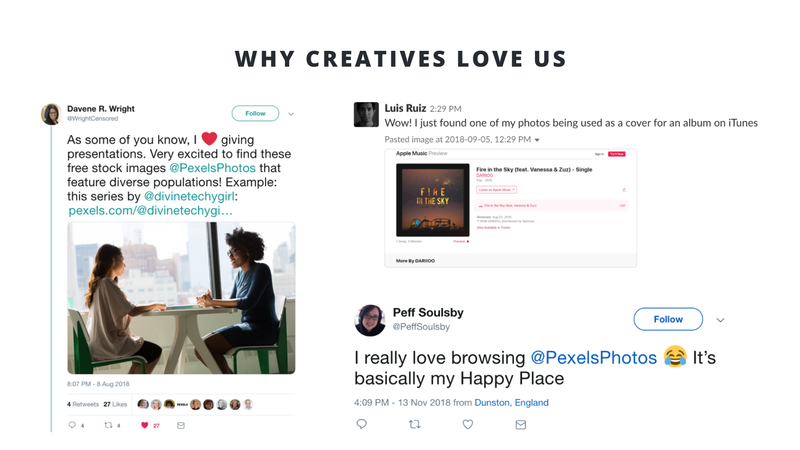 Every month, over 10 million bloggers, artists, web designers and other creatives download 16 million photos from Pexels and those photos pop up everywhere — from Forbes to Buzzfeed, on music album art and in Google product launches. In the 4 years since our launch, our remote-team startup has achieved more photo downloads than some of the most recognized stock media vendors. Last quarter alone, Pexels surpassed Shutterstock in downloads. Our mission has always been to empower creators with free, high-quality photos and now we’re making it easy to access free videos. This week, we took our side video product which was previously living at videos.pexels.com and integrated it into our flagship product, Pexels. That way every visitor can easily search for and download free, high quality videos. How does this impact the stock industry? 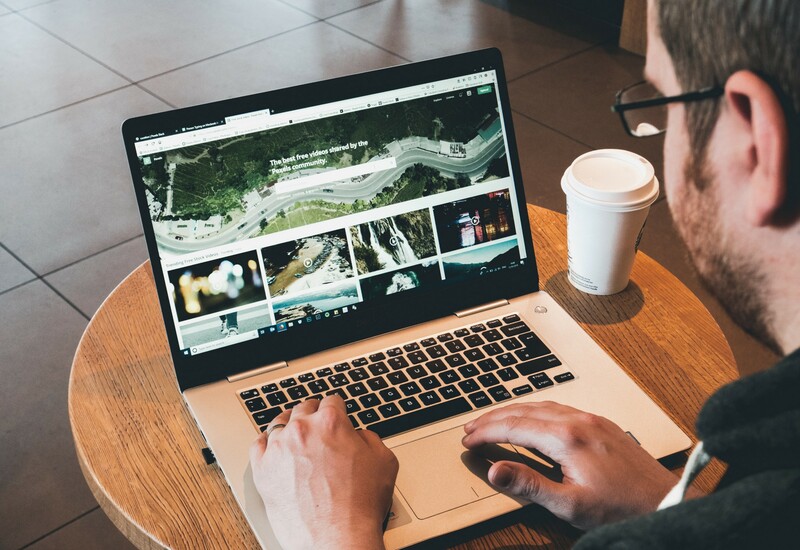 The tides are turning for the traditional stock world as Pexels and other free stock providers gain popularity and offer consumers a free and equal alternative to paid stock photos and videos. The supply of high-quality content has increased exponentially with better, cheaper and easier to operate cameras, convenient editing apps and sophisticated smartphones. With fewer barriers to entry, more people are creating great photos and videos and they aren’t necessarily doing it for the money — they’re doing it for fun, for exposure, and as a way to give back to the creative community after utilizing free stock media for their own creative endeavors. So will free stock essentially wipe out paid opportunities? Unlikely. “The global stock images and videos market is estimated to generate revenues of more than $4 billion by 2023”* and there continues to be a need driven by corporate clients, weddings, custom production stock and an endless array of other occasions. Our free stock community can be an opening into that world. While it may not be the primary motivation to join Pexels, a number of our top performing photographers have received some kind of paid opportunity via Pexels. Over 13% of all the photos on Pexels have more than 1 million views and many even surpass 10 million views. And all those views can equal more chances of success — whether it’s getting featured in a big-name publication or receiving a message from a client looking to pay for licensing or hire a photographer or videographer for a custom shoot. Paid opportunities aside, most have already received some kind of monetary donation from grateful users downloading the images. 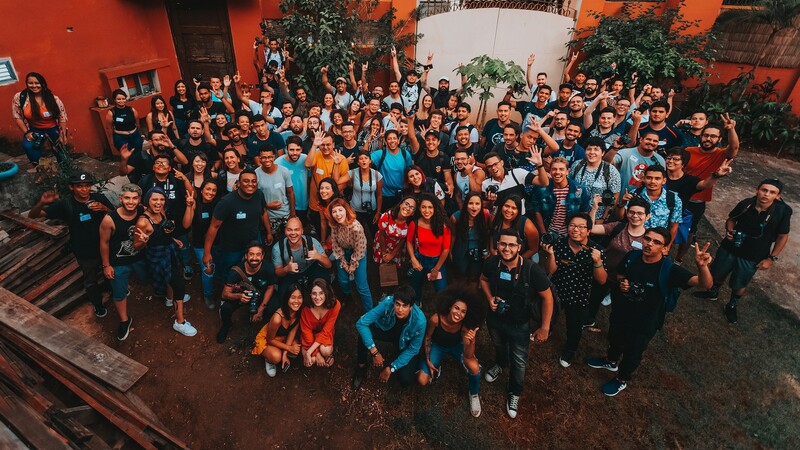 The talented photographers who share their work freely are at the core of our product and we have a community team at Pexels fully dedicated to supporting them and ensuring their experience on Pexels is fun and inspiring. Part of that work includes organizing global events for photographers — we’ve hosted garden parties in São Paulo, gallery events in Toronto, photo walks in Chicago — and we’re only getting started. Our goal is to bridge the online and offline world and help nurture local communities of photographers and videographers all over the map. We also want to connect them to paying and learning opportunities with brands. Find the best free photos and videos in one place. Join the community of photographers by submitting your work.